Due to the hurricane-force winds in our area today, we chose to stay home which meant we missed our library's Read Across America/Dr. Seuss' birthday celebration. My youngest suggested that we make our home day special with a Poetry Teatime. So, we baked a treat together before lunch so it had time to cool. After lunch, the girls set up our Seussical Poetry Teatime. It was my oldest child's idea to make chocolate milk for our tea pot. We toasted our tea cups and the fun started! We snacked on Barbaloot Snacks (teddy grahams and marshmallows) and a piece of freshly-baked brownie cookie to celebrate this special day. We even lit a candle and sang happy birthday to Dr. Seuss. I lost track of how many Seuss books we read! We also read some poetry. I love how Poetry Teatime can be enjoyed without a ton of preparation ahead of time. I also love how my girls get excited to set up for our special time. 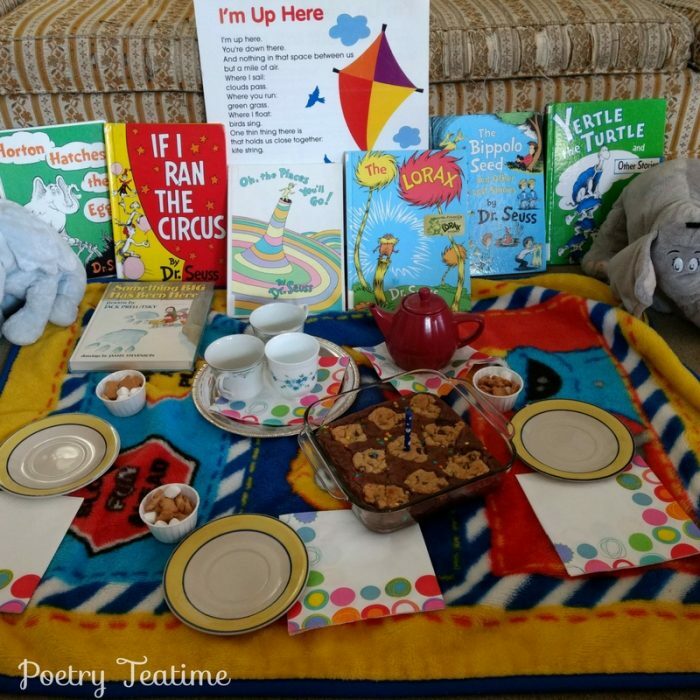 Thank you for introducing the idea of Poetry Teatime to my family! What a great way to make the best of some hurricane-force winds! Thanks for sharing your Dr. Seuss teatime fun! 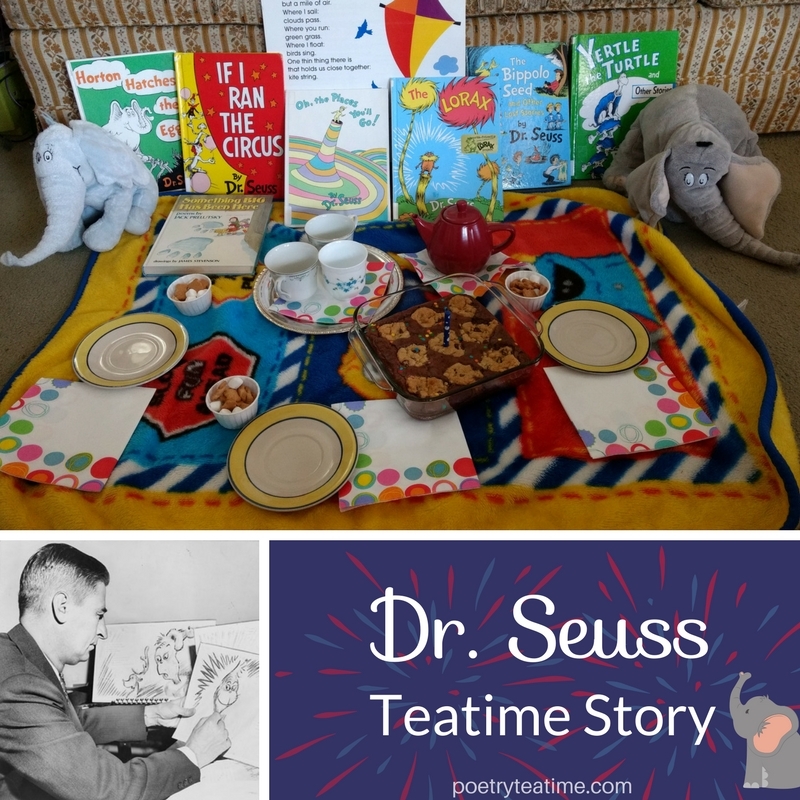 To find out more about Dr. Seuss, check out this Dr. Seuss Poetry Teatime post. And be sure to submit your own Poetry Teatime here for a chance to be featured on the blog!